Warning: Choking Hazard-small parts. Not for children under 3 yrs. 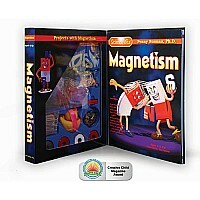 This toy contains magnet or magnet components. 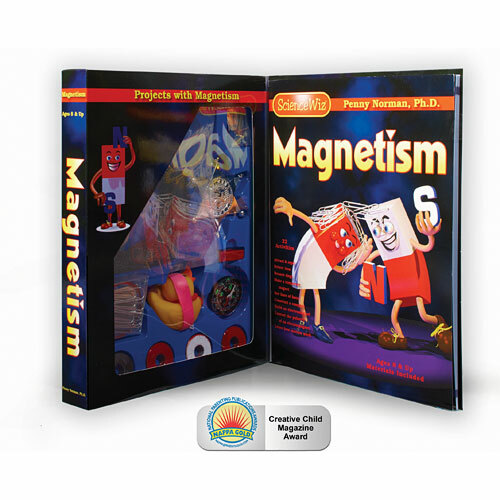 Magnet sticking togethr or becoming attached to a metallic object inside the human body can cause serious or fatal injury. See immediate medical help if magnet are swallowed or inhaled. 22 activities with easy to follow step by step book. Includes 1 compass, 3 red & white ceramic ring magnet, 1 plain mystery ceramic magnet, 1 north/south ceramic bar magnet, sealed iron filings, parts to make an electromaget, paper clips, duck & fish cutouts, assorted parts and a 40 page book. Measures approximately: 8.13 x 1.50 x 10.25 inches..